This is the 77th edition of our guest post series called 10 Questions. It also will be one of the last. Everything must come to an end and 10 Questions will say ‘”Good bye!” near the end of 2016. If you’ve already sent me your answers or told me that you’re going to be doing so, don’t worry; I’m still going to publish you. 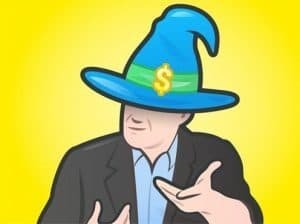 Today we wrap up our 10 Questions series with The Money Wizard, a 20-something who discovered the concept of financial independence and early retirement in his teens – and started planning for it before he even went to college to major in economics and finance. He freely shares his Magical Wizardly Money Secrets to wealth building – which really aren’t all that magical or secret – that helped him build his net worth, which hovers around $150,000 and that keep him on track to retire at age 37. I started MyMoneyWizard.com when I was 25 year-old, a week after I hit the $100,000 net worth milestone. I’m now 26 and update my net worth numbers monthly. Readers have described the blog as “hilarious” “fascinating” and “perhaps the greatest website on the internet.” I may or may not have made up all three of those descriptions. On the other hand, I have actually heard I’m one of the youngest personal finance blogger chasing early retirement. Readers have said my early stage in the journey makes for a pretty relatable story, but I’ll leave that up to you to decide. I didn’t get serious about blogging until I graduated college and punched my entry ticket into real life. Fresh out of school and with a front row seat to my friends’ entries into the real world, I was horrified by the quick path towards financial destruction they immediately began. 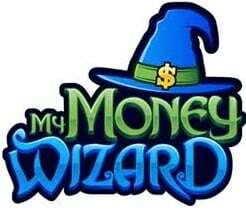 My dream is for MyMoneyWizard.com to play the role of the financial education we all should have received in school. In the very possible chance that I’m writing about a topic you’ve seen before, I hope to provide a fresh perspective. Or at least be a fun work or study distraction for you. Aside from the investment ideas and money saving tips, I also take on a lot of deeply seeded societal beliefs. Some of the ideas I’ve challenged include why you don’t really want a big house, how to stop wasting money, and the brilliant marketing scam that created the $32,641 wedding. I feel pretty passionate that the world would be a better place if we all stopped to question these things now and again. Every time a reader tells me an article of mine changed their outlook, it’s an unbelievably rewarding feeling. Short term I’d like to keep expanding my audience. The site’s growth so far has been encouraging, and I’d be lying if I didn’t admit I still find myself fist pumping and moon walking across my office every time I see someone subscribed to my email list. Recently, I’ve been interviewed by Forbes and Business Insider. Which is both incredible to me and slightly terrifying. Long term I want to take over the world. Just kidding. But I do want to keep bringing the message of financial freedom to the main stream. I am a firm believer in the incredible happiness effect of sound finances. Like dominos falling one after another, good finances knocks over so many barriers to a happier and freer lifestyle. My post about just who exactly is “The One Percent” went slightly viral, which was thrilling. I think the post is a good reminder to stop taking our incredible positions in the world for granted – something I believe our “more -more- more” culture really needs right now. I’ve had several posts featured in Rockstar Finance. My favorites are What I Learned Living in a Million Dollar Home for 3 Weeks and How Much Does It Cost to Live on a Houseboat? Probably my overall favorite post is Part 2 of my Wedding Series, which explores the diamond engagement ring scam. I probably worked the hardest on this post. Fittingly, it has received the least amount of attention. Haha! I’m a professional DJ (desk jockey) in the banking industry. I graduated with a dual degree in Economics and Finance. I try to draw on those experiences where I can on the blog. Since I know everyone is wondering, I started around $50K and now make about $70K. I grew up firmly middle class with no windfalls or inheritances. The biggest money influence on me was the day I learned my grandfather, who lived a modest lifestyle, was a millionaire. To be clear, “modest lifestyle” may be an understatement. ‘Ole Grandpa could squeeze the blood out of a penny. But through stock market savings and a blue collar, low five figure salary, he saved his way to $1.2 million while raising five kids. If he could do it, I knew wealth really was possible for ordinary people. I’ve been saving ever since. Absolutely! I’m a little strange in that I’ve been planning for retirement since before I was a teenager. When I learned about the online community filled with people who had made my long time dream a reality, I felt like I had stumbled home. My most recent estimates have me retiring in around 11 years, at age 37. According to my most recent Net Worth Update, I’m about 20% there! I love it! For my real career, I spend almost every day writing professional reports in a structured, no-creativity allowed format. From day one, I found this utterly stifling. Soon I was writing about anything and everything to escape. Forum posts, amazon reviews, emails to friends… anything that allowed me to have a little fun behind the keyboard were my creative outlets of choice. Before I knew it, those writings turned into lengthy blog posts, and here we are today. My grade school English teachers always wanted me to become a writer. As I pursued finance, I always felt a little guilty that I was abandoning this natural passion of mine. So Ms. Sanders and Ms. Davis, if you’re somewhere out there, this one’s for you! 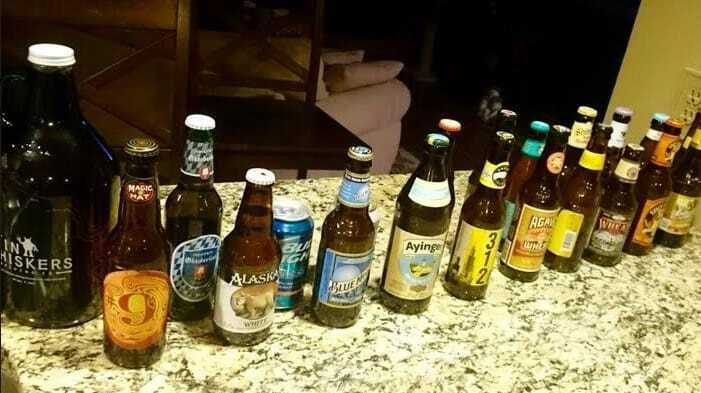 I’m a big fan of the lighter beers. This makes the current season a somewhat depressing time for me, as all of my favorite summer seasonals get replaced with their fall counterparts. My friends and I recently held a blind taste testing extravaganza, with some pretty interesting results. Hamm’s beer, a true bottom of the barrel budget beer up here in the North, consistently outranked several craft beers sporting price tags 3-4 times as high. Score one for frugality! Although the undisputed champion remained Ayinger Bräu-Weisse imported directly from Germany. I love board games! Scrabble is my go-to. Catch Phrase makes for a hilarious and extremely underrated party game. I’ve also been getting really into Yahtzee lately. In my younger days I kept in shape as a high school baseball athlete. I now go to the gym a few days a week in a desperate attempt to counter my 10 hours of daily desk-jockeying. I’m also an avid skier, which keeps my legs in shape during the winter months. In the summer, I enjoy cycling. By age 90, I hope my financial wizardry was so successful it makes Harry Potter jealous. If that doesn’t work out, I will also settle for a happy life with a great family. Thank you for wrapping up our series, Mr. Money Wizard. Keep up with him on Facebook, Twitter, and at MyMoneyWizard.com. Shame on you! Shame on you! Scrabble and Yahtzee are board games like the Turkish Rambo is Rambo! Mind if I ask what your favorite board game is? My wife tries to tell me that WAR, the card game, isn’t a game of skill. I ask her why she keeps losing to me then 🙂 JK…she normally beats me. Awesome interview and it sounds like you are well on your way to financial freedom. Awesome job!!! Strong work on the blog so far. Keep it up, and you might shave a number of years off your projected FIRE date. I absolutely hate Scrabble though. Probably because I spend all day reading and working with words anyway. Biglaw Investor recently posted…Harvard Lost Billions, Would You? Dang, that’s two objections to my board game choices. Sounds like I’m doing it wrong. Help a guy out with some suggestions! Hey MyMoneyWizard! I already check out your blog and like the content you have on it. My favorite post of yours is the one where you lived in a million-dollar house and your lifestyle didn’t increase or creep up a slight bit. Always cool to learn new things about people, great interview, Mr. 1500! Glad to hear you’re enjoying the blog, Smart Provisions! The million-dollar home post was definitely a fun one to write. 🙂 Keep up the great work, MyMoneyWizard, I look forward to future posts! Mr. 1500 – As always, thanks for sharing! Very cool to hear! Hope to see you around, and I agree – big thanks to Mr. 1500 for the interview. On the beer front, you’re doing pretty good lol. Big fan of your site, look forward to what lies ahead!